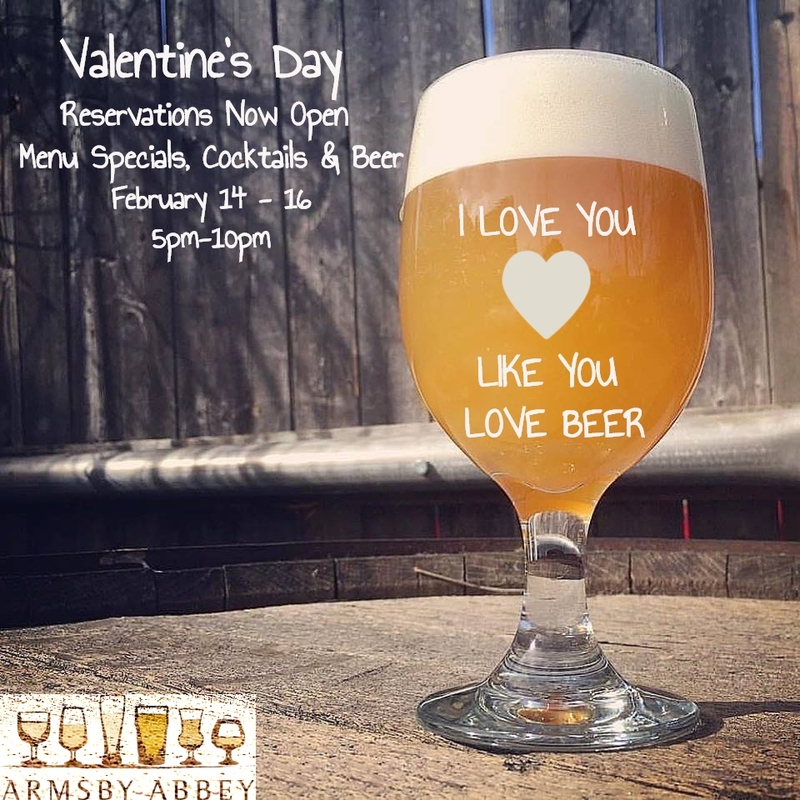 For the lovers, and the haters; for the couples, and all the singles out there, come on down to Armsby Abbey for Valentine’s Day weekend! We will be offering menu specials, in addition to our regular menu, Valentine inspired cocktails, and tapping some very special craft beers. If you are planning something special on one of these nights… perhaps say an engagement, a divorce party, or even a birthday? Let us know in advance how we can assist in making this night extra special! Please call 508.795.1012, or download the app RESERVE, to reserve your table today!